Today Bill and I visited Dead Horse Ranch State Park. 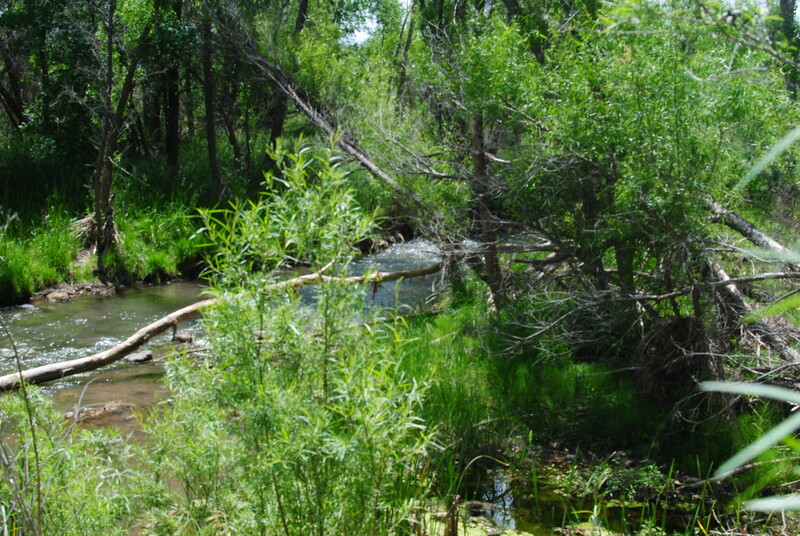 This is a beautiful park nestled in the cool climate of the town of Cottonwood. 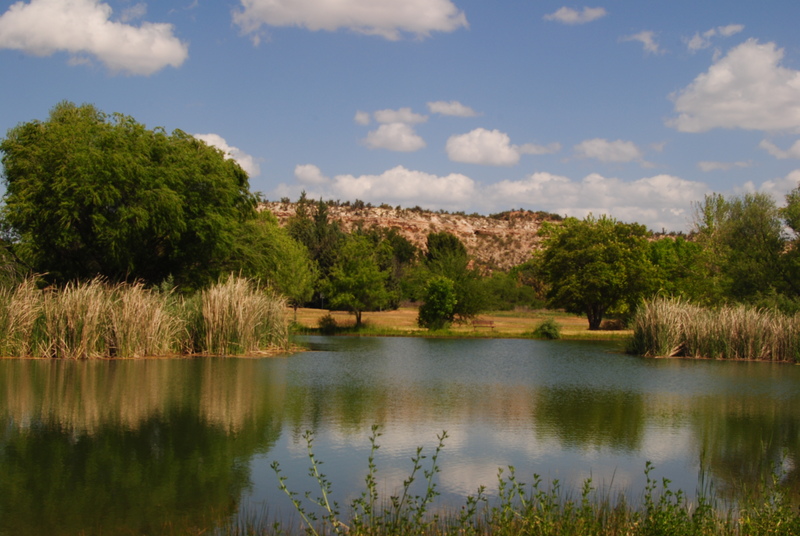 Dead Horse Ranch offers numerous outdoor opportunities for camping, hiking, mountain biking, canoeing, fishing or just wading in the cool water. 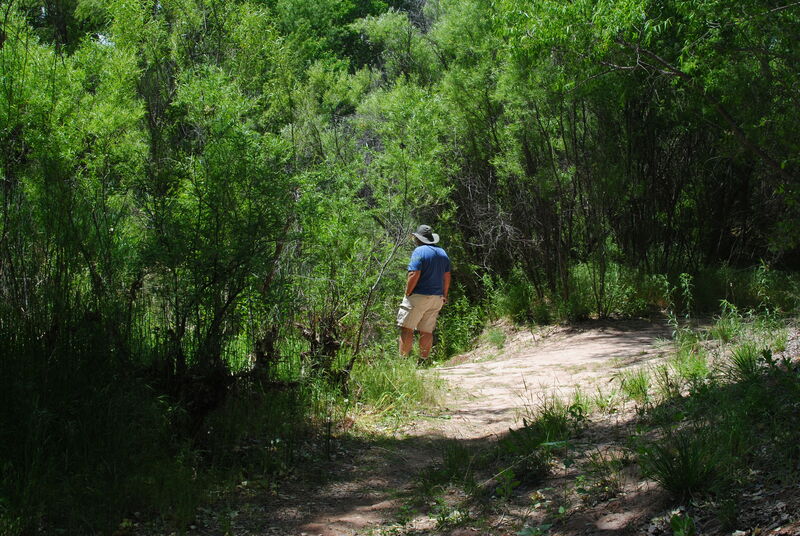 Bill and I decided we would hike the self-guided interpretative trail. 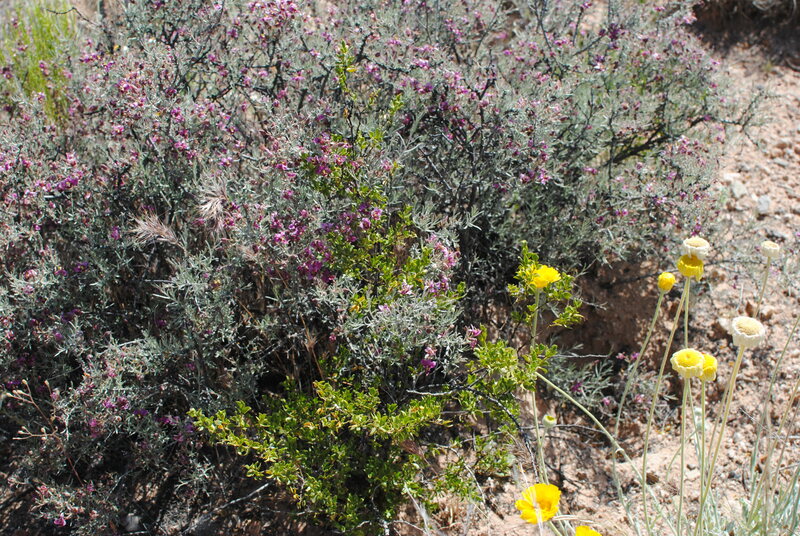 We thought it was going to be like the interpretative trail we have at McDowell Mountain Park, where we give our guests an information sheet that explains everything they are seeing on the trail, i.e., plants, mountain ranges, wildlife, etc. But, no, this park didn’t even have a map that made it easy to find the trailhead, and there was nothing to explain what we were looking at on the trail. So, Bill and I had to make up our own version of what we were seeing as we hiked along.. 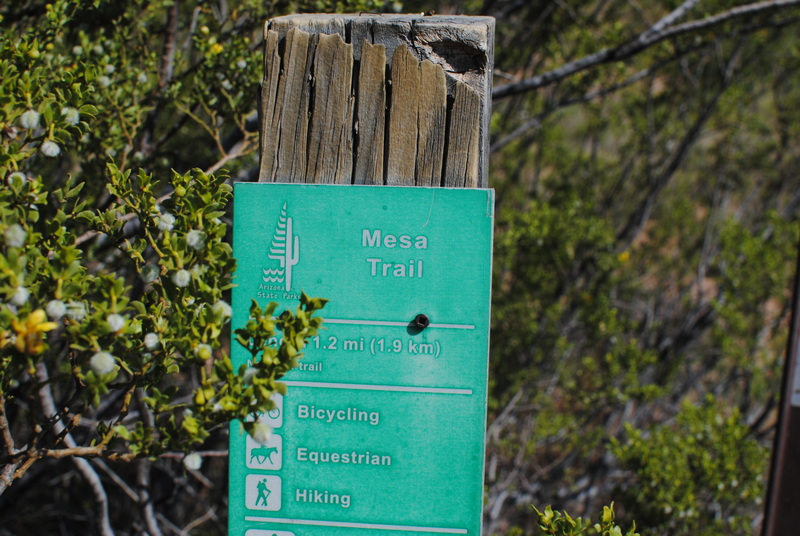 This little tiny sign that was almost hidden in the bush was the only thing that gave any indication we were even on the right trail.. The only way we knew that was because I remembered reading that the self-guided interpretative trail was called the Mesa Trail. 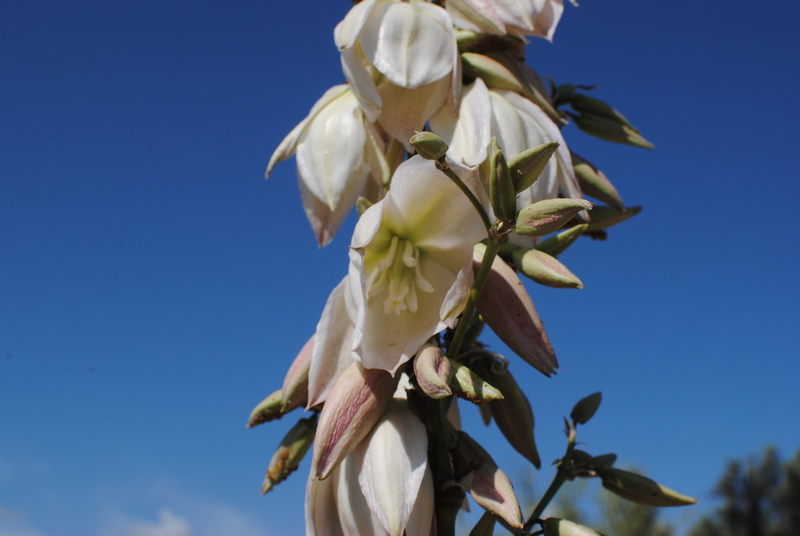 Lucky for us we know what a blooming cactus looks like, and this one had lots of pretty blooms. This was growing out of a large cactus, and I told Bill I thought it is called a century plant, but to be honest, I’m just guessing. See, it’s important that parks provide informative information for their guests, because inquiring minds, like mine… want to know. 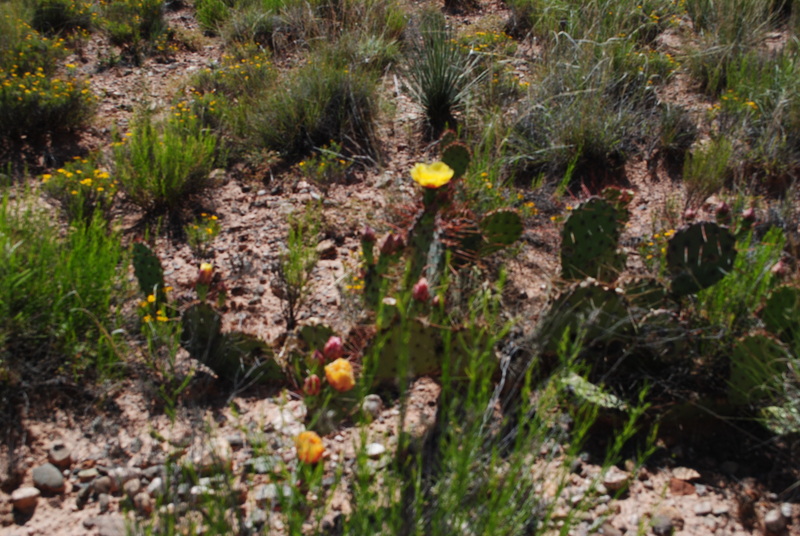 Here are some more pretty blooming cactus with yellow flowers this time. The trail lead us up a hill, and when we reached the top, there were very pretty views all the way around, so that was nice. 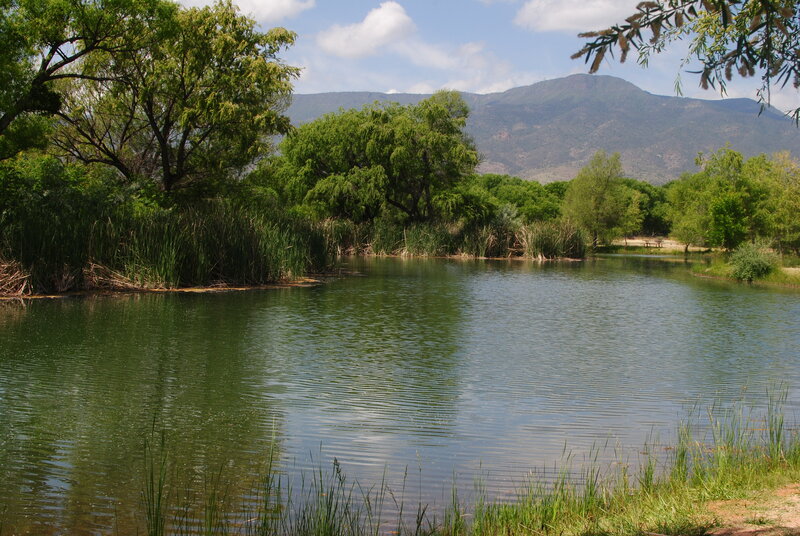 After that hike, we made our way down to see the lagoons within the park. 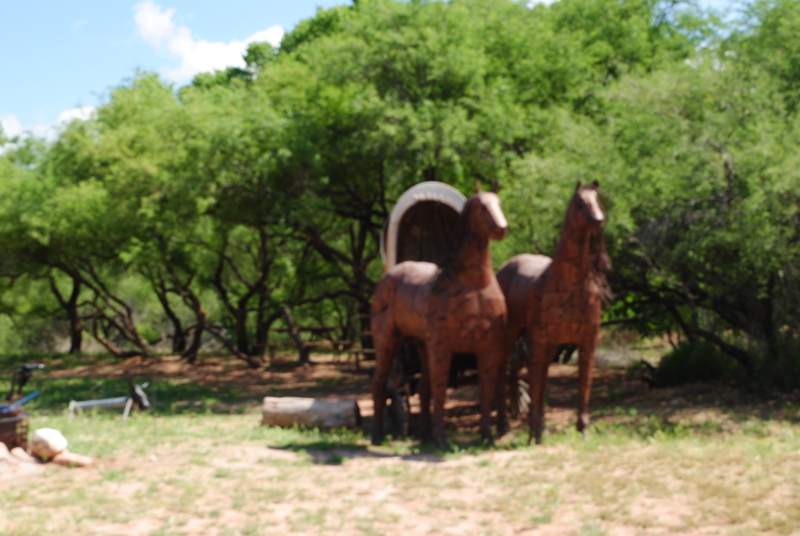 As we pulled into the parking lot of that area, we saw this covered wagon hitched to these two big horses. Then we found out that is where you go if you want to take a trail ride. They rent horses by the hour for guided horseback tours around the park. Now that’s cool that they provide that service. The lagoon area was my personal favorite. So beautiful, peaceful, and quiet, with only the sound of birds chirping and an occasional fish jumping up out of the water. Take a look. 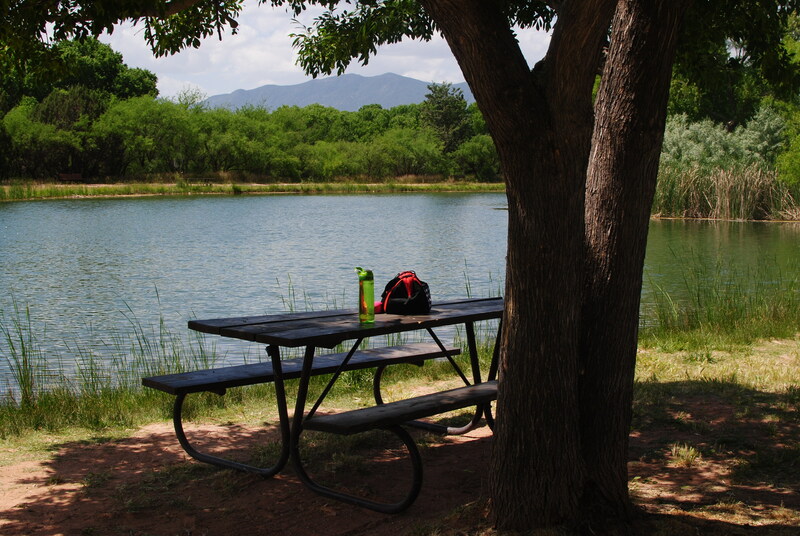 And today, we found the perfect spot for our picnic lunch. 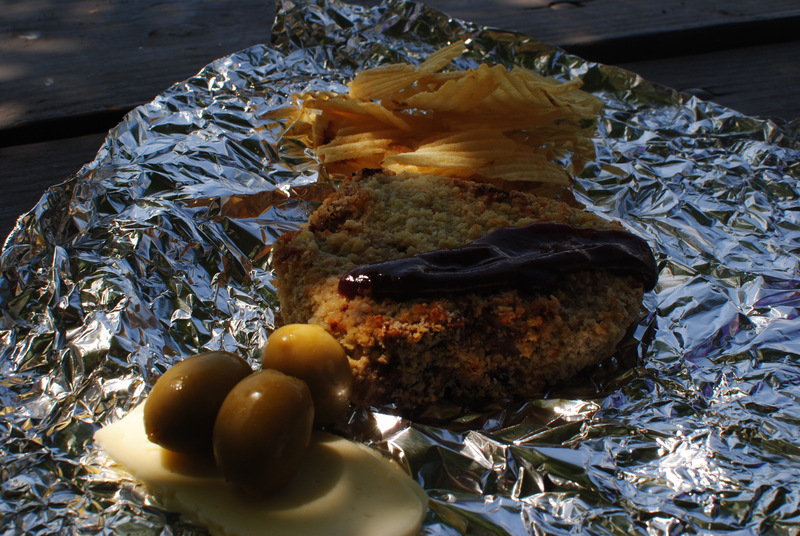 I didn’t have cold fried chicken for our picnic, but I did have cold baked pork chops from dinner last night. Add a touch of B-B-Q sauce, some chips, olives, and cheese, and it was a tasty picnic lunch that both Bill and I enjoyed. 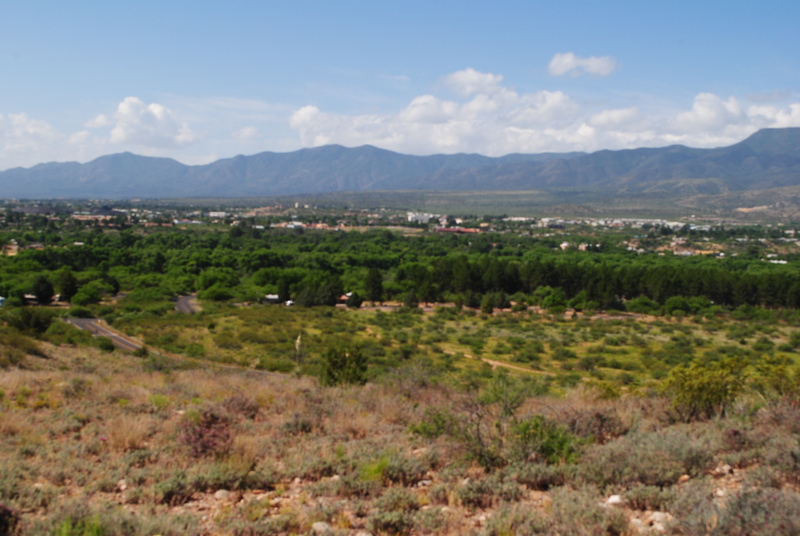 After lunch, we made our way down to the Verde River Greenway Trail. 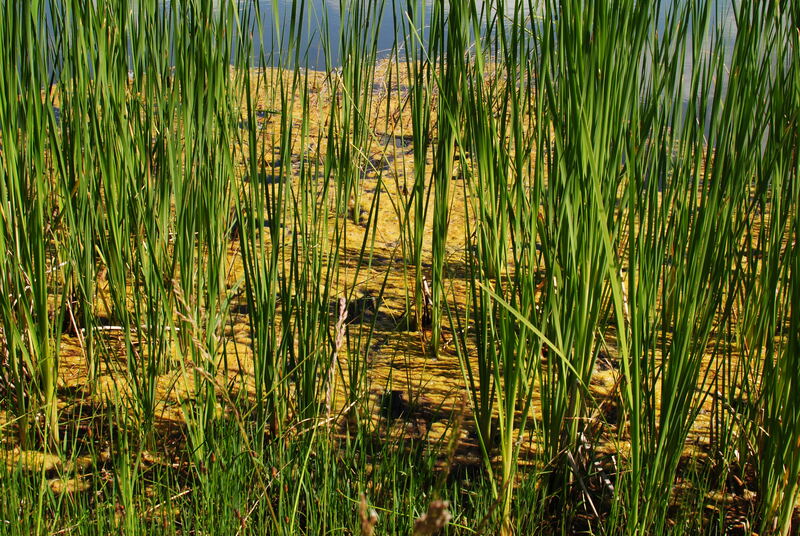 This trail takes you right along the bank of the water. 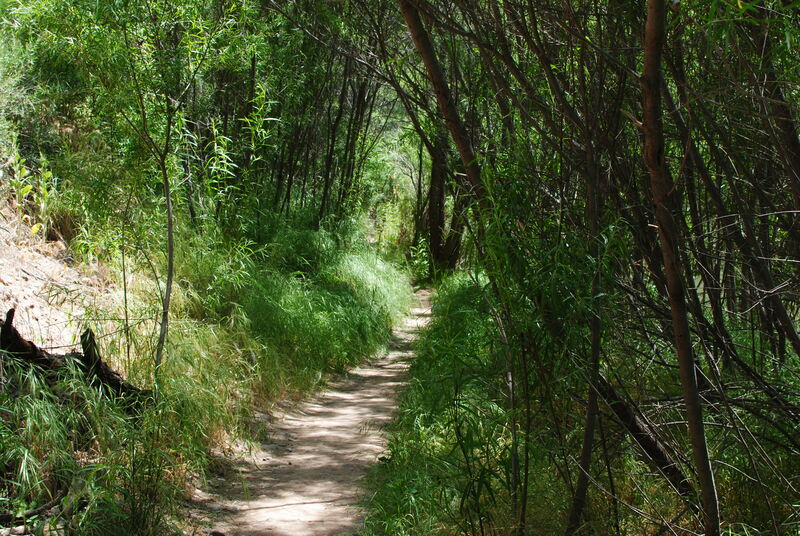 So pretty with the trees creating a canopy of shade over the trails. Bill stopped to see if he could locate the frog he saw jump into the water just as we passed by. While we were disappointed with the lack of information, about the different trails the park offers for their guests, we were very impressed with the overall beauty of this park. They have 100 RV/camp sites, and eight one-room log cabins. The cabins sleep up to four people with a maximum capacity of six people available for reservations. It is such a pretty park with so much to offer in the way of activities, Bill and I decided if we ever decide to work/camp in Arizona for a few months during the summer, we would definitely consider this park. 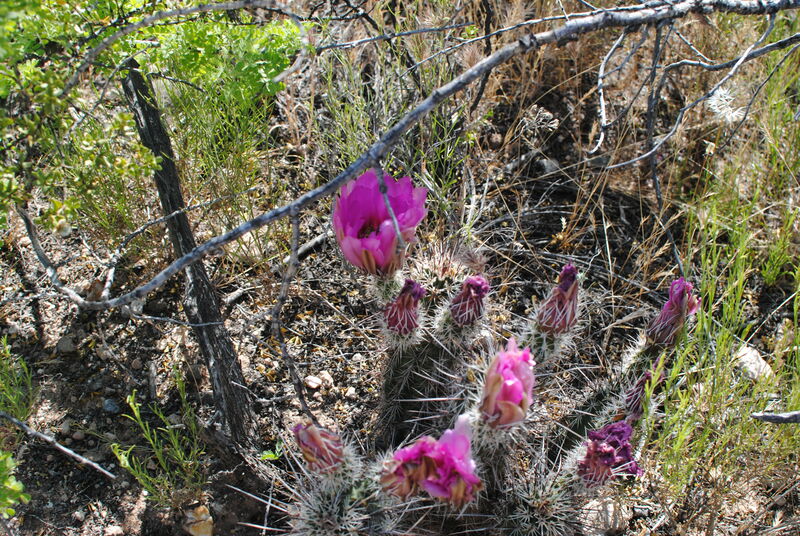 Had a great day, the hike was fun,seeing cactus and wildflowers blooming . We didn’t see any fishermen pulling in any fish but the sign says their are bass, trout,chanel cat and bluegill. What a beautiful area! Love the lagoon. And this could be a great girls weekend getaway! Love it and YOU!